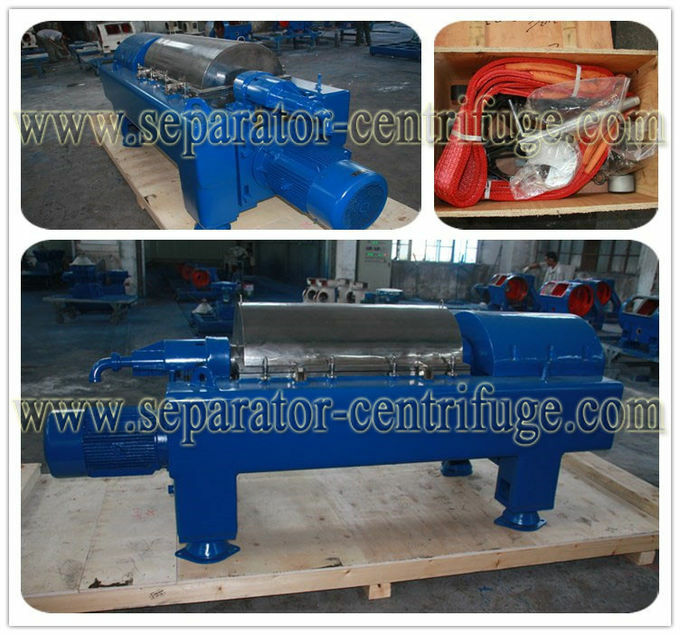 For the Decanter Centrifuge, the continuous feeding, separating and discharging can be realized as it rotates at its full speed. It is characterized by compact structure, easy obturation, smooth running, low noises, large handling capacity, low energy consumption, high automation, small working strength, simple operation and easy maintenance, and wide applications. 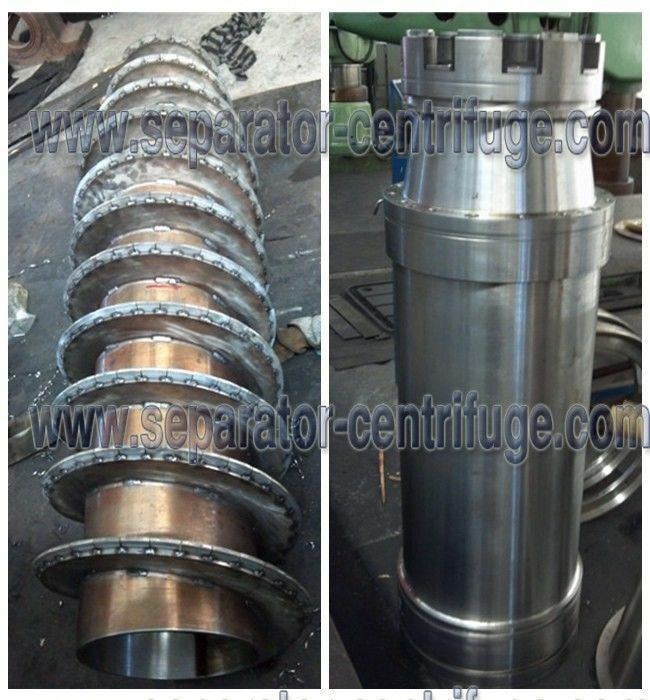 The drum and the spiral feeder rotate in the same direction but with a certain speed difference; the material is led into the feeding spiral inner cylinder via the feeding pipe and, after speeding pipe and, after speeding up, enters the drum; under the action of the centrifugal force field, the relatively heavier solid-phase material deposits on the drum wall forming the residue layer; the solid-phase residue is continuously pushed by the spiral feeder to the conic end of the drum and, after dehydration in the drying area, is discharged out of the machine. 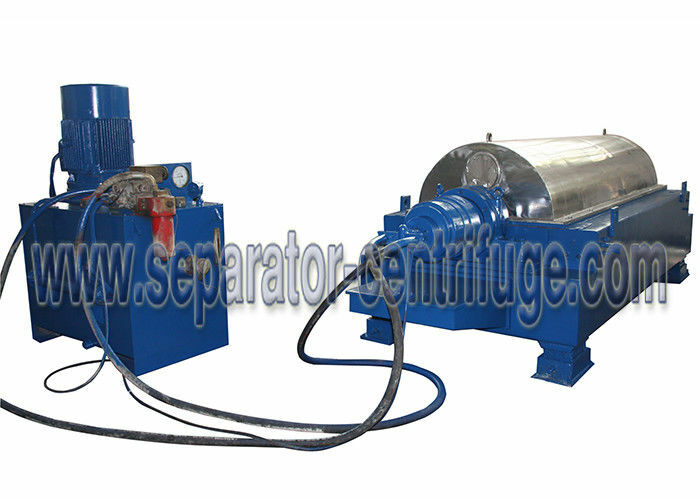 The machine is capable of continuous feeding, separating, dehydrating and discharging under full-speed running. PS: The above parameters will be subject to the final technical agreement. 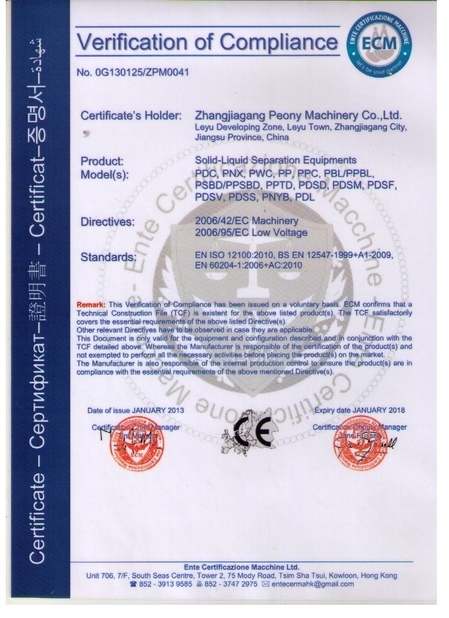 Peony Machinery has been dedicated to producing machinery and equipments and carrying out facility construction, pursuing the best quality and producing the best product at the same time.We are committed to reward you with a better quality in return for our interest in and faith toward.We will do our utmost for one more stepping forward, based on our infinite services and trust to customers.